Meet Doris, a 96-year-old woman living alone in her Stockholm apartment. She has few visitors, but her weekly Skype calls with Jenny—her American grandniece, and her only relative—give her great joy and remind her of her own youth. When Doris was a girl, she was given an address book by her father, and ever since she has carefully documented everyone she met and loved throughout the years. Looking through the little book now, Doris sees the many crossed-out names of people long gone and is struck by the urge to put pen to paper. In writing down the stories of her colorful past—working as a maid in Sweden, modelling in Paris during the 30s, fleeing to Manhattan at the dawn of the Second World War—can she help Jenny, haunted by a difficult childhood, unlock the secrets of their family and finally look to the future? And whatever became of Allan, the love of Doris’s life? 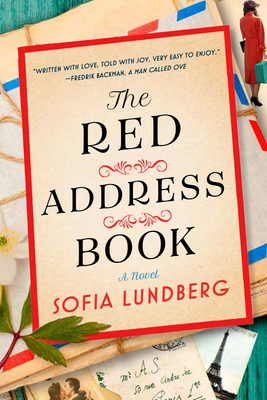 A charming novel that prompts reflection on the stories we all should carry to the next generation, and the surprises in life that can await even the oldest among us, The Red Address Book introduces Sofia Lundberg as a wise—and irresistible—storyteller. SOFIA LUNDBERG is a journalist and former magazine editor. Her debut novel, The Red Address Book, was published in 32 territories worldwide. She lives in Stockholm with her son. "In a reader's lifetime, there are a few books that will be companions forever. For me, The Red Address Book is one of them. It will comfort you, and remind you of all the moments when you grabbed life with both hands. It is also an homage to the wisdom of women who have lived longer than most of us. One is never too old to learn that love is the only meaning of life—let’s listen to these women." "The Red Address Book is a love letter to the human heart. Full of tenderness and empathy, Lundberg has created more than just a novel—she has created a window into the soul."